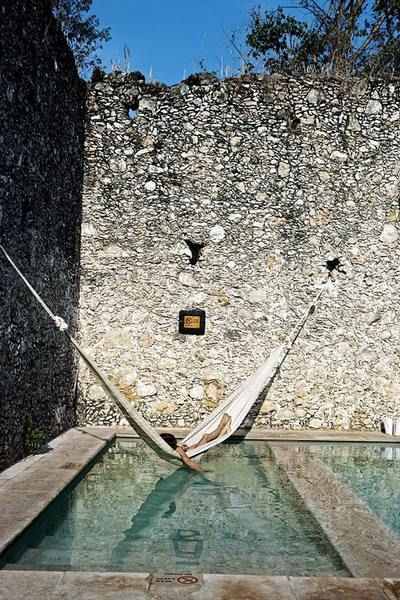 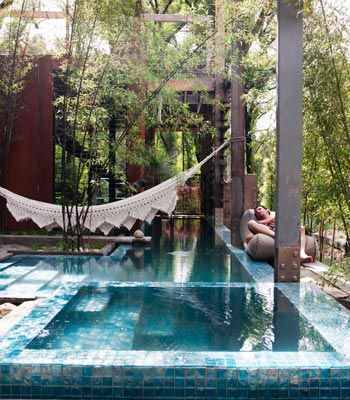 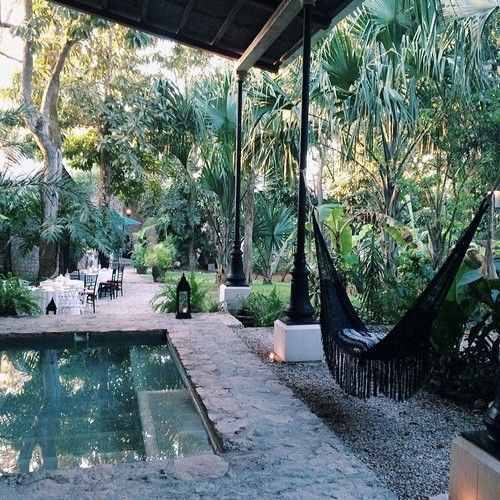 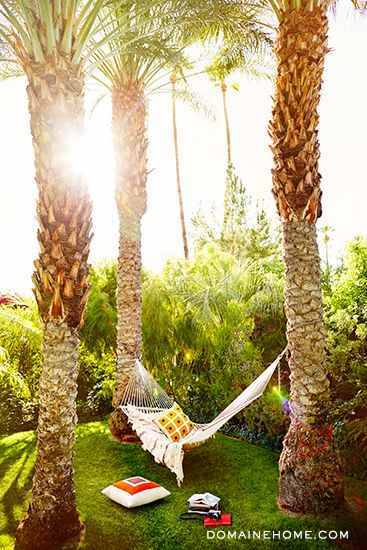 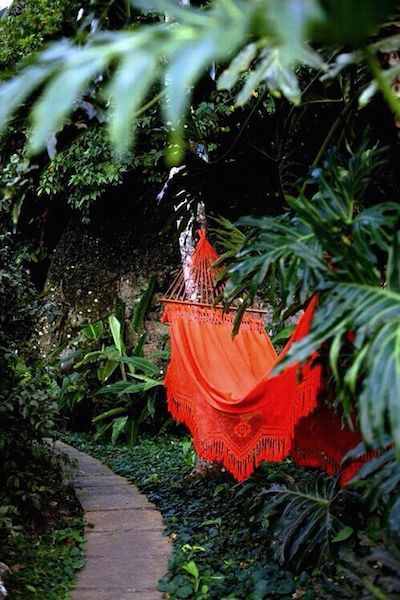 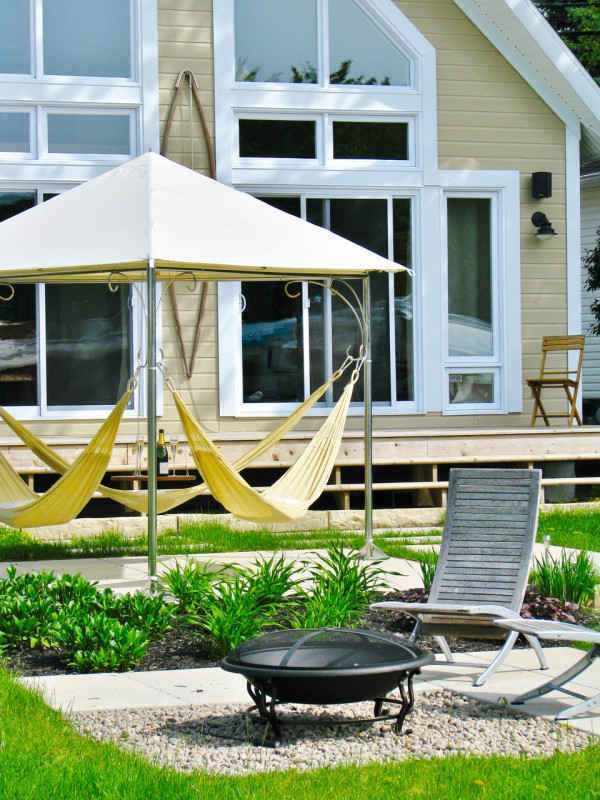 I figured we can all daydream a bit about soaking some rays, catching some zzz’s or reads in hammocks whether indoors or out…. 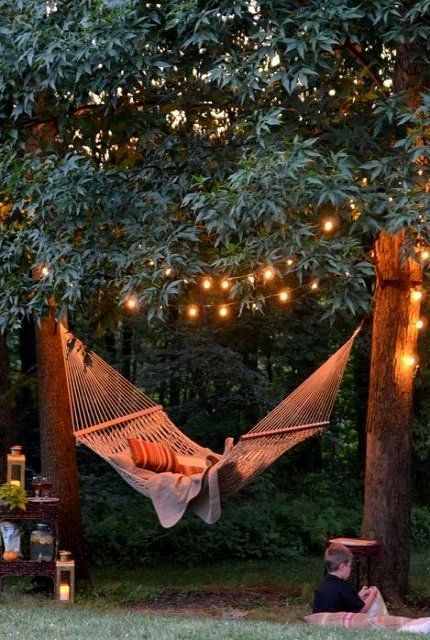 This just looks so relaxing and tranquil…. 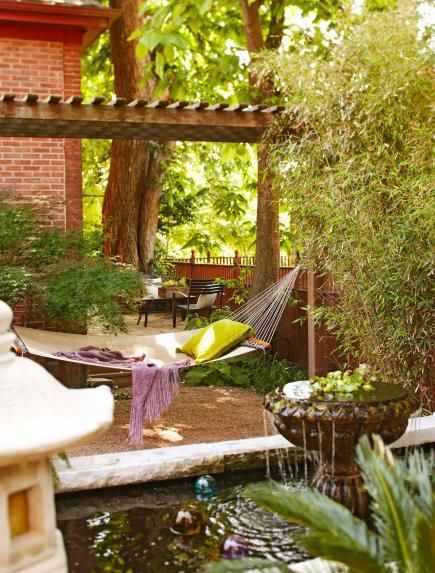 A small pond and a fountain will add to a zen outdoor oasis…. 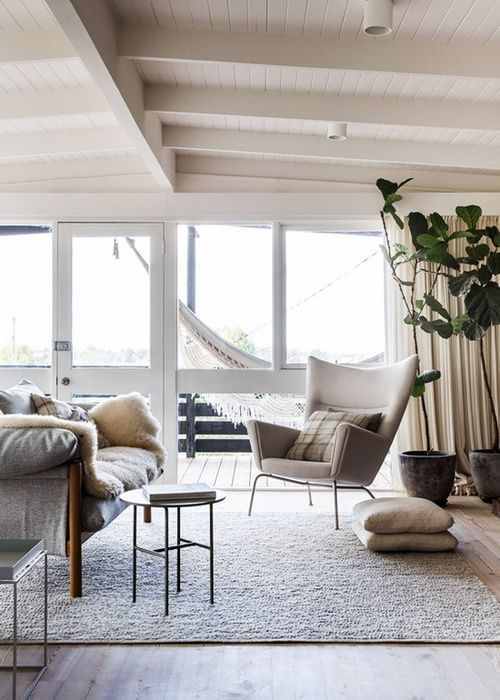 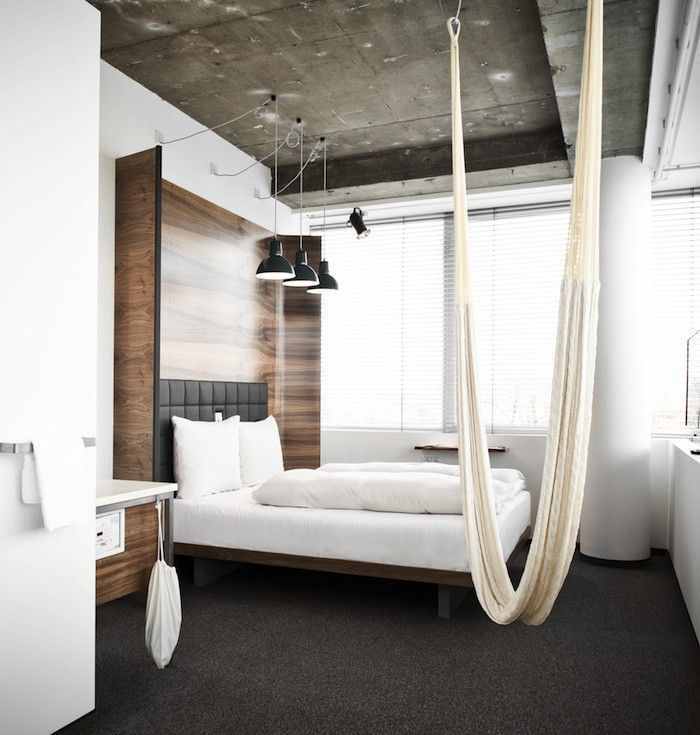 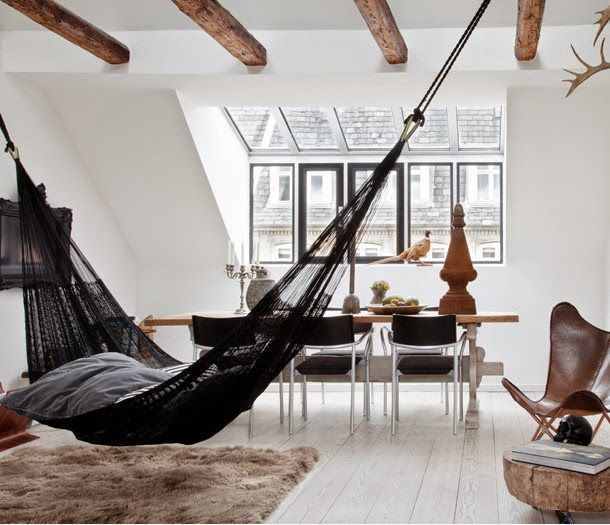 This indoor hammock makes good use of the ceiling height in this industrial design…. 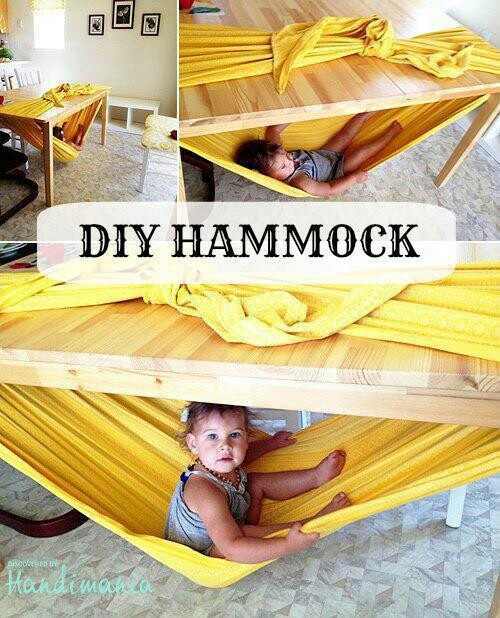 However this is the cutest hammock yet. 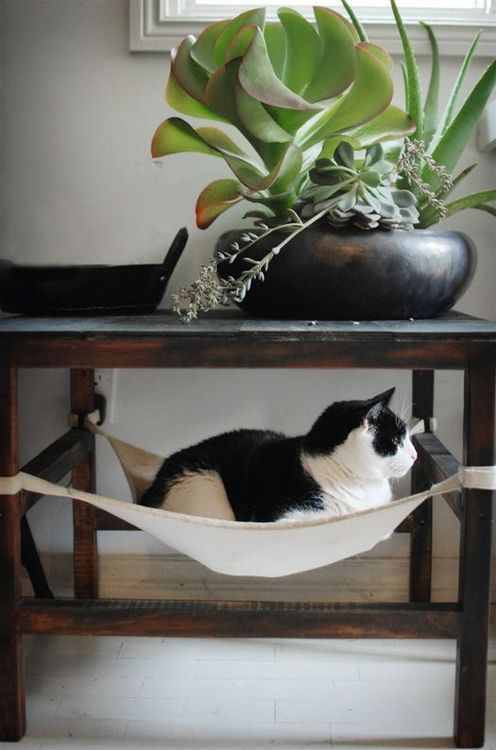 She even looks like my cat. 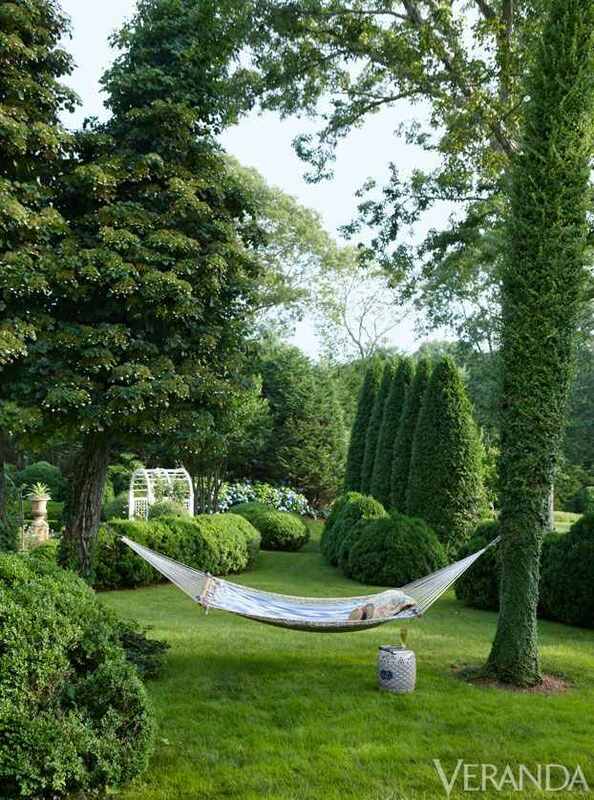 If you’re a hammock owner, do a little lounging for me. 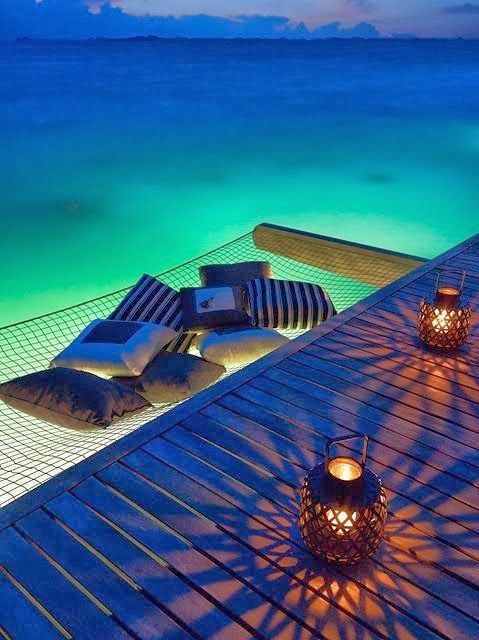 I would lay in any of these any day of the week. 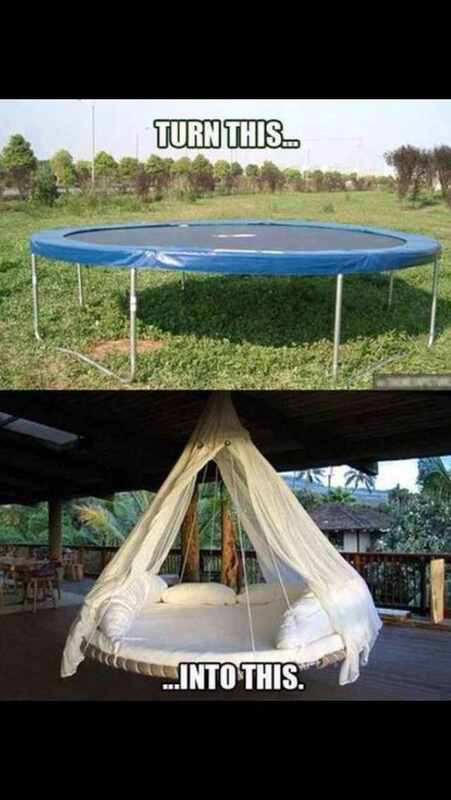 Love the cat version too.